On December 9, 2017, Nathan Brown was announced at a basketball game as the 20th head coach of the University of Central Arkansas (UCA) football team. A more formal announcement and press conference followed in Wingo Hall on Monday, December 11, when Coach Brown was introduced to the media and a room packed with about 120 supporters. Dr. Brad Teague, Director of Athletics at UCA, spoke about Coach Brown’s lengthy history at UCA, from the days when Brown was a student-athlete to his time as an assistant coach and offensive coordinator for the Bears. This author has attended several such events, and can state that the atmosphere in the room was extremely positive, and that the attendees were very supportive of Brown being selected as UCA’s new head football coach. One thing that stands out about Coach Brown is his age, only 31. Brown announced from the podium that he will be 32 years of age when he coaches his first football game as head coach. Brown is the youngest head coach that has been hired at UCA since 1952, when Jim Blair Crafton was hired. Coach Crafton was 27 years of age when he was hired and led the Bears from 1952 to 1954. Crafton’s age was not considered unusual at that time because UCA had previously hired several coaches around the age of 30, and several who were under the age of 30. The youngest UCA head football coach in the history of the program was J.C. Cook, who was head coach in 1914. Coach Cook was only 22 years old when he coached his first game. Cook was from Texarkana and had received a Bachelor of Arts degree from the University of Arkansas, and spent one year at the United States Naval Academy before coming to UCA. In 1914, UCA did not have a mascot and the team was referred to as the Tutors, Teachers, Normalites, Pea Pickers and Pedagogues. It was 1920 before UCA sports teams were known as the Bears. In recent years and decades, newly hired UCA head football coaches were primarily in their early 40s. 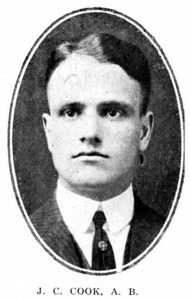 The lone exception in modern times was Coach Clint Conque, who was 39 at his first game. 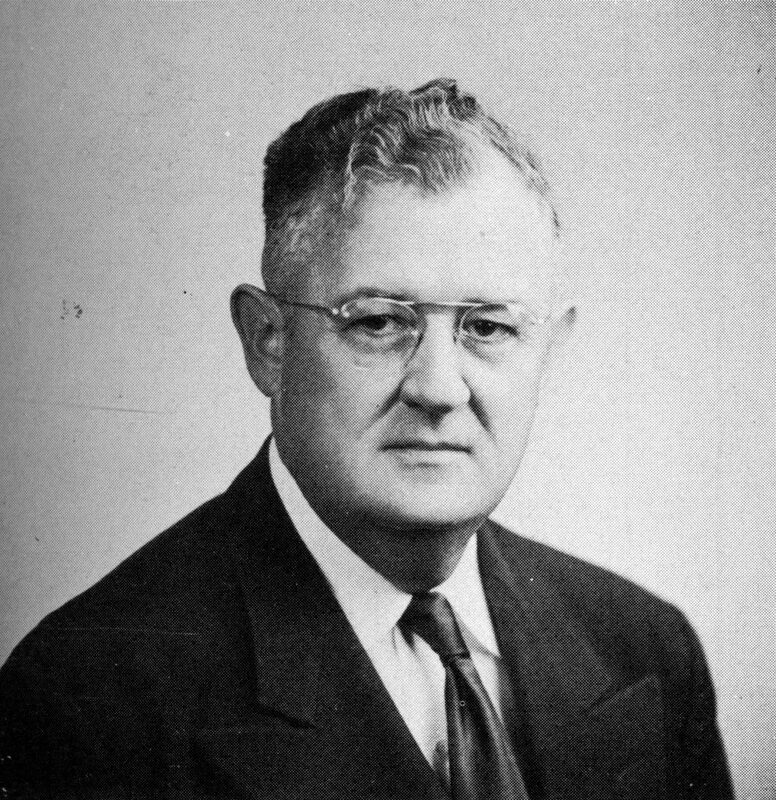 The first UCA head football coach over the age of 40 was Frank Koon, who was named head coach in 1955. Coach Koon was 46 years of age when he coached his first game for the Bears. The oldest coach was Brown’s predecessor, Coach Steve Campbell. Coach Campbell was 48 years of age when he coached his first game in 2014. The breakdown for head football coaches, in regard to their age when they coached their first game at UCA, is as follows. Out of 20 head coaches, six were in their 20s; eight were in their 30s; six were in their 40s. This means that 14 of the 20 head coaches, or 70%, were under the age of 40. The average age for all 20 UCA football coaches when they coached their first game is 35. For the record, Coach Nathan Brown is the 10th youngest UCA Bear head football coach. The most successful young coach was Warren Woodson, who was also 32 years of age when he coached his first game for the Bears. Woodson began his career at UCA in 1935 and was undefeated during the regular seasons in 1936 and 1937. He compiled an excellent record at UCA and from 1935 to 1940 had a winning percentage of .817. Woodson’s winning percentage was second only to Coach Harold Horton, whose winning percentage from 1982-1989 was .841. 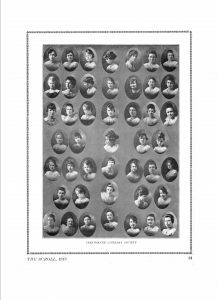 Sources for this article included: the UCAsports.com website maintained by Steve East, Ancestry.com, “A History of Arkansas State Teachers College” by Ted Worley, UCA Official Records Collection – M99-01, Arkansas State Normal School and Arkansas State Teachers College Bulletins, The Log Cabin Democrat, The Echo, and The Scroll. The following chart shows the ages of those coaches under 40 and their age at their first game. 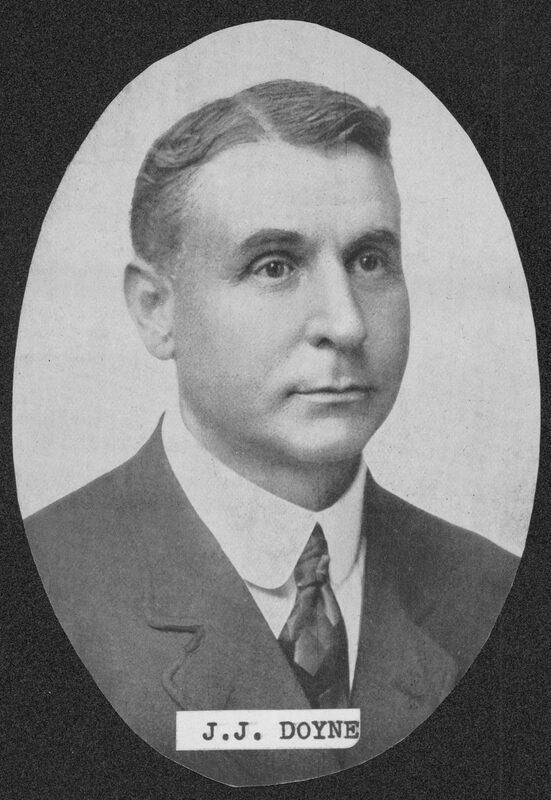 PHOTOGRAPH OF COACH J.C. COOK COURTESY OF THE SCROLL, 1915. As the vast majority of readers know, 1917 was the year that the United States formally entered the Great War, later known as World War I. President Woodrow Wilson asked the U.S. Congress for a declaration of war against Germany on April 2, 1917, and Congress granted Wilson’s request on April 6, 1917. Things soon began to change at Arkansas State Normal School (now the University of Central Arkansas). The students were dedicated to the war effort, but also wanted to continue to observe the customary traditions of the Normal as much as possible. The most obvious change was in the enrollment of male students. In the spring of 1917, 200 men were enrolled in classes, but only 12 men were enrolled by the spring of 1918. The men did not disappear from campus as quickly as that last sentence made it sound. The county draft boards were drafting men into the various branches of the U.S. Armed Forces each month. Male students that were enrolled in classes in September of 1917 may have been drafted by October 1917, and so on. As each month went by, more and more male students left the classrooms and were drafted, until only 12 remained by April of 1918. The enrollment in the fall of 1916 was 441 students, according to enrollment statistics released by the Normal at that time. By the fall of 1917, the enrollment was 328, a decline of 25.6%. By the fall of 1918, the enrollment was 301, a decline of 31.7% from the fall of 1916. After the war ended, enrollment shot up to 446 by the fall of 1919. As the social scene changed somewhat, the women students made adjustments and did what they could to contribute to the war effort and to also observe the aforementioned annual traditions. On December 14, 1917, the Crestomath Literary Society (a women’s literary society and a forerunner of today’s sororities) held their annual Christmas Bazaar in the first building on campus. That building was known in 1917 as the State Normal Building, but later was given the name of E.E. Cordrey Science Building. The Crestomath members were intent on continuing the tradition, and also on raising money for the war effort. Former Crestomath members extended their generosity to the Crestomaths of 1917, by donating items that could be sold to help raise needed funds. The dedication of the members of the Crestomath Literary Society can be seen in a poem that was written in 1917 by their treasurer, Bess Warren. 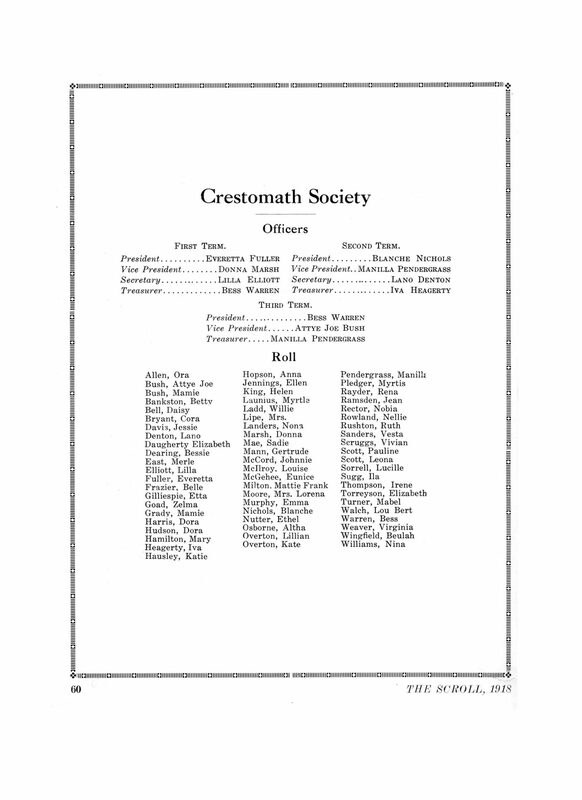 Ms. Warren was president of the Crestomath Literary Society in 1918. That will the Hun drive away. To those who met the call. In far more ease than they. You sought no help to do. And fling the shackles down. The Students’ Friendship War Fund (actual name) was a project created by the Young Men’s Christian Association (Y.M.C.A.). This particular fund drive was created to provide relief for Allied prisoners of war. The goal was to raise one million dollars, and the fund drive was launched at Pennsylvania State University in State College, Pennsylvania. The Crestomaths had worked since April 1917 to support their fellow students who were in uniform, and the war effort in general. After the Christmas Bazaar had ended, the women had time to reflect on the various things they had done in 1917 to earn money, and some of the money-raising projects included selling popcorn each week and picking cotton for area cotton farmers. The first mechanical cotton pickers were not produced until 1949. The women had considered using the additional funds they had acquired through the Bazaar, and by the selling of popcorn and picking cotton, to use on themselves. Then, after some additional thought, they decided that they would not be happy doing so with the war raging and people suffering. The members of the Crestomath Society had all agreed on the adoption of the French orphan and were more than satisfied with their decision. 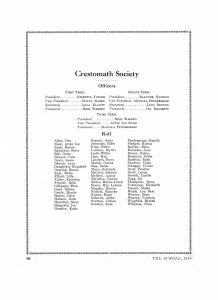 They were convinced that they had done the right thing, and had upheld the traditional values of the Crestomath Society. For the sake of full disclosure, the author’s great aunt, Cora Bryant, was a member of the Crestomath Literary Society in the fall of 1917. Photographs of the 1917 Crestomath Literary Society. Both of the following photos are courtesy of The Scroll, 1918. Fans of UCA Bear football have seen many post season games, with the first playoff game occurring after the 1976 regular season under head coach Ken Stephens. There were only four teams in the playoff picture for 1976. Coach Stephens’ team went on to defeat Elon College in UCA’s first ever National Association of Intercollegiate Athletics (NAIA) Playoff game, 10 – 7. The win over Elon put UCA in the finals game with Texas A&I. The Bears lost to powerhouse Texas A & I (now Texas A&M-Kingsville) in the Champion Bowl in Kingsville, Texas by a score of 26-0. Even though the Bears lost in the nationally televised title game, they proved that they belonged in the upper echelon of NAIA football schools. The very first post-season football game that Arkansas State Teachers College (now the University of Central Arkansas – UCA) participated in was on Christmas Day in 1937. The Bears were undefeated and untied during the 1936 and 1937 regular seasons, and had won 16 games in a row. Due to their gridiron success, the Bears were considered a worthy opponent for the Fresno State College Bulldogs in the Charity Bowl played in Los Angeles, California. Head coach, Warren Woodson, selected 27 players to make the trip, which also included his assistant coach, Herbert Ball, President and Mrs. Heber McAlister, and Mrs. Woodson. Also making the trip were two newspaper reporters, one from the Arkansas Democrat – Allen Tilden, and one from the Arkansas Gazette – Ben Epstein. A sizeable crowd of about 500 well-wishers, mostly students and members of the Bear Backers Club, were on hand to see the team off at the Missouri Pacific Station in Conway. Another sendoff took place later that evening when the train from Conway, with the Bear football team on board, rolled into the Missouri Pacific Station in Little Rock. That sendoff event included several dignitaries, including Lt. Governor Bob Bailey, Attorney General Jack Holt, Secretary of State C.G. Hall, State Auditor J. Oscar Humphrey, Little Rock Mayor R.E. Overman, North Little Rock Mayor Ross Lawhon, D. Hodson Lewis, manager of the Little Rock Chamber of Commerce, D.L. 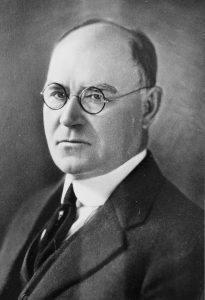 Ford, member of the State Corporation Commission and W.E. Phipps, Commissioner of Education. While headed to their destination in Los Angeles, the Missouri Pacific passenger train stopped in Fort Worth, Texas, so the Bears could practice at the stadium of Texas Christian University. The Bears went through a morning practice and then boarded the train for their next stop in El Paso, Texas. One of Hollywood’s screen stars was also in the studio with the Bear football team, Madge Evans. Ms. Evans was also a guest on Burns’ show. The Charity Bowl had two major sponsors, Bob Burns and Dorothy Lamour. Burns was the host for the Bears and Lamour was the host for Fresno State College. Bob Burns was born in Arkansas and spent most of his youth in Van Buren, Arkansas. He was musically inclined and eventually became a famous radio personality. He invented and played an instrument that he called the bazooka. Burns’ instrument was so well known that during World War II the U.S. recoilless rocket anti-tank weapon was nicknamed, bazooka. After the Bears finished with their final workout, they engaged in some sight-seeing. The group toured Hollywood, Beverly Hills, and the Malibu Mountains. They also visited Santa Monica for a view of the Pacific Ocean. Ben Epstein, the writer for the Arkansas Gazette, did a splendid job of describing the game, and his efforts are included here in quotes in the next two paragraphs; “Hollywood’s cinema executives finally learned the meaning of ‘terrific’ as the Fresno State College Bulldogs nosed out the heretofore unbeaten and untied Arkansas State Teachers College Bears of Conway, 27 to 26, in an intersectional jamboree that literally stupefied 5,000 spectators in Gilmore stadium here today. It was eeny, meeny, miney, moe, and we don’t mean maybe as the mad struggle see-sawed in unbelievable fashion. The legendary football coach Pop Warner was not Fresno State’s head coach; the head coach for the Bulldogs was James Bradshaw. Coach Warner was a friend of Bradshaw’s, who had adopted Warner’s coaching philosophy. At the time, Pop Warner was the head coach of the Temple University Owls. The game was tied on three different occasions, 7-7, 14-14, and 20-20. The 20-20 score came in the fourth quarter when both teams scored touchdowns, but both failed to convert the extra points. The difference in the game came after Fresno State scored their second touchdown of the fourth quarter and made the extra point. Fresno State’s touchdown was followed by a kickoff return by Bear halfback Howard Montgomery. Fresno State kicked off and Montgomery picked up the ball at the Bear five-yard line and then ran 95 yards for a touchdown. The Bears were unable to convert the extra point, leaving the score Fresno State 27 and Bears 26. A disputed touchdown by the Bears could have given them the victory. Bear end Billy Estes, son of legendary Bear coach Guy “Big Dan” Estes, was one of Woodson’s best players. Estes appeared to have successfully caught a pass for the touchdown, but the referee called it incomplete. President McAlister disagreed with the referee’s call. Note: President McAlister was also head of the Arkansas National Guard, and held the rank of colonel, and was routinely called Colonel McAlister. The Bears returned to Conway in the early morning hours of December 29. Their game with Fresno State College was such a roaring success that there was much talk about the Bears playing Fresno State College in 1938 and 1939, or possibly playing the University of New Mexico in 1938. Interestingly, Fresno State University referred to the Charity Bowl as the Little All-American Bowl on their sports website. Additionally, they also refereed referred to Arkansas State Teachers College as Arkansas State University (ASU). This author will contact Fresno State University and provide them with the correct information. Sources for this article included: The Encyclopedia of Arkansas, The Scroll, The Log Cabin Democrat, Arkansas Gazette, UCAsports.com Record Book compiled by Steve East, and Fresno State University sports website. 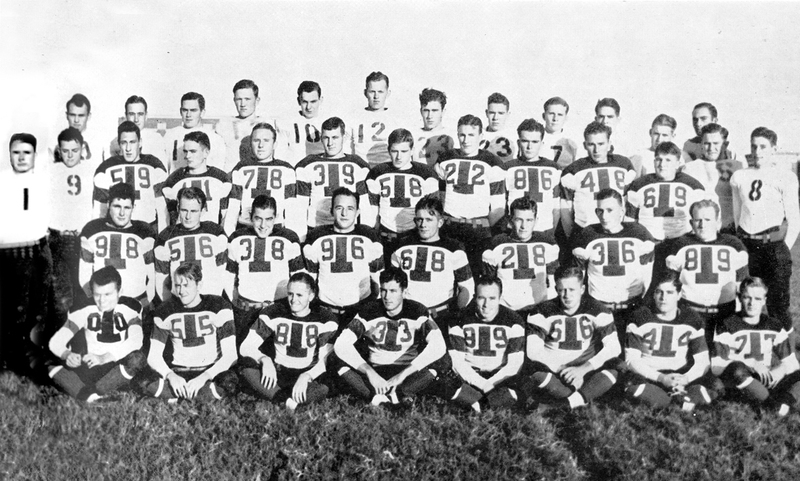 PHOTOGRAPH OF 1937 Bear Football Team. Courtesy of 1938 Scroll. Tomorrow, November 23rd, is Thanksgiving; a holiday that has always been observed at this institution beginning with our first year of operation in 1908. The first Normal Echo that was published in November 1909, was the Thanksgiving Number, and a big turkey was pictured on the front cover. On page three a poem about Thanksgiving was written by Mina Renfrow of Rison, Arkansas. Ms. Renfrow was also the president of the Crestomath Society in 1909, a literary society for women. The front cover of the first Normal Echo and the poem about Thanksgiving by Mina Renfrow, can be found in the PDF that accompanies this email. Happy Wednesday! Today we are going to take a look at the UCA Stepperettes, one of the most popular organizations ever to exist on this campus. There is also a video of them performing for several football games and one basketball game. The video appears to be from two different academic years; 1974-1975 and 1975-1976. I hope you enjoy this time travel experience to the 1970s. In the fall of 1957, a school-spirit organization was created, the T-Steppers, a 24 member female drill team which performed at football games, basketball games, and parades, and was modeled after the Kilgore Rangerettes. They were an immediate success and went from 24 members in the fall of 1957 to 42 members in the fall of 1958. The T-Steppers experienced a name change in 1967 when Arkansas State Teachers College became State College of Arkansas. The T-Steppers became the Stepperettes and were issued new uniforms. Their popularity continued to grow, and by 1967, the Stepperettes boasted a total of 80 members. The Stepperettes, like the T-Steppers, were primarily noted for their performances at football and basketball games, and parades, but also served as goodwill ambassadors for UCA. They traveled to different parts of the State of Arkansas, judging tryouts for high school drill teams, and also performed at high school assemblies. Interest in the Stepperettes began to wane in the mid 1980s, and in 1988 the Stepperettes permanently disbanded due to lack of participation. Here is the link: Sound begins about one minute later. The video will be at the bottom of the next page, after you click on the link. The L.B. Jackman Award-What exactly is that? Since 1959, the L.B. Jackman Award has been awarded to the most outstanding player or players in the UCA Homecoming football game. This year, 2017, there were two co-winners of the award, Hayden Hildebrand – quarterback, and George Odom – linebacker and safety. It was reported that when George Odom was told that he was one of the recipients of the award, he stated that he did not know what it was. Odom’s response prompted me to write a brief history about the L.B. Jackman Award. Luke B. Jackman was born in Alix, Franklin County, Arkansas, in 1897. He received a Bachelor of Science in Education from Arkansas State Teachers College (now the University of Central Arkansas – UCA) in August 1935. He later received a master’s degree from Columbia University in New York. According to his obituary, Jackman served as supervisor of schools in Franklin County and was superintendent of Ozark Schools before coming to UCA as registrar in 1951. Jackman served as registrar until he retired in 1961. He died on July 20, 1966, of a heart-related condition, and was buried in the Houston Cemetery at Alix in Franklin County. While serving in his capacity as registrar, Jackman also served as a sponsor of Sigma Tau Gamma fraternity. According to documents in the Sigma Tau Gamma collection, during the Sigma Tau Gamma fraternity meeting of September 29, 1959, Leroy Froman made a motion to recognize the outstanding player of the homecoming football game. He motioned that the award be given the title, the L.B. Jackman Award. His motion received a second and it passed. Longtime Conway resident and UCA alumnus, Bill Johnson, was serving as president of Sigma Tau Gamma in 1959. The first person to receive the L.B. Jackman Award was Henry Hawk in 1959. Sigma Tau Gamma has sponsored the L.B. Jackman Award since it was created, with the exception of a several year span where it was sponsored by UCA Athletics. David Grimes, UCA alumnus and longtime Sigma Tau Gamma member, said that there was a span of several years where Sigma Tau Gamma did not sponsor the award for some unknown reason. However, Sigma Tau Gamma resumed the sponsorship of the L.B. Jackman Award several years ago, and continues to sponsor the award it created in 1959. The members of the media vote to determine who should receive the L.B.Jackman Award. Sources for this article include: The Scroll, the Log Cabin Democrat, Ancestry.com, UCA Registrar’s Office, The Echo, Steve East – Assistant Athletic Director for Media Relation, Bill Johnson – Sigma Tau Gamma and UCA alumnus, David Grimes – Sigma Tau Gamma and UCA alumnus, and UCA Archives M01-11 – Sigma Tau Gamma Collection. The attached photograph of L.B. Jackman is Courtesy of The Scroll – 1953. The attached article is about the first homecoming in the United States and the first homecoming at UCA. Please keep in mind that in 1927, UCA was Arkansas State Teachers College, and the writers of The Echo and Log Cabin Democrat, used only part of the name at times. For instance, you might find it written as State Teachers College or Arkansas Teachers College – when the real name was Arkansas State Teachers College. The acronym that was used officially was ASTC. However, you will find it at times as ATC or as A.T.C. Also you will see that in some editorials or articles contained in this article, the word Homecoming is capitalized and other times it’s not capitalized and at times it is two words – home coming – instead of one word. Please note UCA’s first Homecoming Queen’s photograph on the last page of the article. In regard to fashion and overall look, her photograph fits perfectly with someone from the late 1920s. I hope you enjoy stepping back in time for a few minutes; when radio was in its infancy, television was only in its early experimental stage, manual typewriters were the ubiquitous standard business machine, and electronic computers and cell phones were still in the distant future. During the early years the faculty, staff and students at Arkansas State Normal School ( now the University of Central Arkansas) developed creative ways to promote their institution. The primary mass media was newspapers, magazines and other types of printed material. According to the Encyclopedia of Arkansas, radio did not come to Arkansas until 1922. So, prior to that time, promotion of Arkansas State Normal School was either by oratory, which President Doyne and President Torreyson both excelled in, or published material, mainly newspapers. Doyne and later Torreyson, traveled the state and gave speeches to promote the college. In Goza’s promotion letter he emphasized several things, including the leadership of President Doyne, a growing enrollment, the quality of the main building, the family-like atmosphere of the college, sports and the various literary societies. Lod Goza’s letter is attached to this email in a PDF. No photo of Lod Goza, Jr., could be found. Attached is a PDF of a poem authored in 1912 by one of Arkansas State Normal School’s (now the University of Central Arkansas) more creative writers, Owen O. Green. Green was the author of “Normalite.” The students of Arkansas State Normal School (ASNS) routinely referred to themselves as Normalites. During the days when ASNS had no mascot the sports writers also referred to ASNS sports teams as Normalites, as well as Pedagogues, Tutors, and Pea Pickers. The Normal Echo began publication in 1909. Unlike The Echo, The Normal Echo was more of a literary magazine than it was a newspaper or news magazine. It was 6.5 x 9.75 inches in size and published short stories, poems and humorous anecdotes, editorials, information about Arkansas State Normal School (ASNS) and was written primarily by ASNS students with an occasional contributing faculty writer. In the December 1912 edition of The Normal Echo, there was news about the Normal’s four literary societies, three stories about Normal sports, one article on education, four poems and short stories and one editorial. The editorial pointed out the great demand for properly trained teachers in Arkansas and that some states do not permit the employment of teachers who have not graduated from a normal school. The rest of the editorial discussed the importance of literary societies, President Howard Taft and how nobly he had accepted defeat, and that the ASNS students were looking forward to Thanksgiving. One of the more interesting short stories published in The Normal Echo was “An Odd Marriage” authored by Ethel Smith, a freshman in 1912. I made a PDF out of Ms. Smith’s story and it is attached to this email. I hope you enjoy it.